Pregnancy can be a blessing to a woman’s life. It makes them inspired, energetic and beautiful. However, one cannot avoid the stress that childbearing cause. There are several signs and symptoms of pregnancy that makes a woman’s body suffer physiologically, physically and emotionally. There is nausea and vomiting, which can be really uncomfortable for the mother and cause disruption of everyday routine. Another physical symptom of pregnancy is fatigue. It makes the pregnancy a little more difficult to carry. 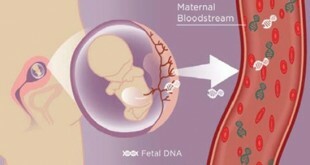 In early stage of pregnancy, it is normal that the body experiences different changes. There are some people who adjust to these changes easily, some people don’t. But, what is fatigue? How can pregnant women overcome this symptom? Are there any home remedies to reduce fatigue? Fatigue is a state of the body, which is associated with the weakness or exhaustion. It is the inability of the body’s energy to sustain the functioning and ability of a person. There are two types of fatigue, one is physical and the other one is mental fatigue. Physical fatigue can also be called muscular weakness and/or lack of muscle’s strength. Mental fatigue refers to the general reduction of attention, manifested by somnolence or decreased wakefulness. Both types of fatigue are felt by pregnant woman due to childbearing stress. You can feel fatigue because of overwork, mental stress, lack of sleep or lack of physical activity. Some illness or disease may cause fatigue, but it will eventually go away once the illness/disease is cured. Fatigue can also result from chemical causes like vitamin deficiency or poisoning. Hemorrhage or severe bleeding can also induce fatigue. In pregnancy, it is common to experience fatigue. Many changes are occurring in pregnancy due to hormonal changes and body preparing for a baby’s development. More energy is required to her not only for herself but also for her baby. The fatigue in pregnancy is caused mainly by the high level of progesterone in the body. This hormone induces sleep. Therefore, there is the feeling of tiredness. Additionally, in the first trimester or first three months of the pregnancy, there is a great demand for nutrition of the baby. The energy of the mother is being transferred to the growing fetus. Furthermore, in the third trimester, the growing baby puts more pressure to the bones and muscles of the mother. The weight of the baby calls for more nutrition; therefore, more energy is being given by the mother. It is important to keep your body in shape, especially in pregnancy wherein you eat for two bodies. Do not skip meals and eat as nutritious as you can. Six meals per day is recommended, just be sure that it is healthy and full of nutrients. Keep your blood sugar level at normal and choose to eat snacks in between main meals. Protein and carbohydrates are important for energy. 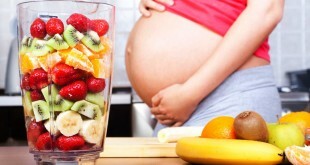 Make sure that you eat the recommended calories for pregnant women, which is more than the normal person needs. As much as possible, avoid caffeine because it just gives you temporary energy and has a rebound effect, making you feel tired after few hours. Additionally, eat fruits and vegetables that are rich in vitamins and minerals. Be sure to have a balanced diet with adequate hydration. Physical activity is important. It makes your circulation in adept condition. Your body needs good circulation in order to deliver nutrition efficiently throughout your body. Inactivity can make you feel tired than rested because your muscles are not being used. Exercising moderately is recommended, about 30 minutes per day, 3 times a week. Brisk walking is appropriate in pregnant women because it does not require vigorous energy. Also, do exercises that do not risk your safety. It is significant to keep away from harm and accidents. It is important that you rest at the end of the day. Medical experts say that 8 hours of sleep is required but some also say that 6 hours of sleep is enough as long as the sleep is not disturbed. Experts say that quality of sleep is better than the quantity. Before going to bed, make sure that you are relaxed and remove all your worries. Play music or use aromatherapy to increase your chance of having a decent sleep. If your fatigue is severe, persistent and last all through your pregnancy, it is best to contact your physician. There is a chance that you are experiencing an illness which should be addressed by a healthcare practitioner. Eat foods rich in protein, carbohydrates, iron, and vitamins. Aromatherapy is known to help uplift your energy and boost your mood. Therefore, it reduces the feeling of fatigue. Brisk walk or do moderate exercise to help your body’s circulation. Take short naps every day, about 10-15 minutes of nap can greatly help. Plan your activities for the day. It is helpful to distribute activities so you will not get tired easily. Listen to music. There are several studies saying that soothing music helps in relaxation and makes the body less fatigued. Cut off your vices. If you are a smoker or alcohol drinker, it is best to stop. Cigarettes and alcohol bring many negative reactions of the body and makes it more prone to fatigue. Ask for help with the work. If the work is too much for you, it is okay to ask for help and ask somebody to do the work for you. Ginseng – This herbal remedy helps your nervous system to fight off stress. Spinach – It contains potassium and vitamin B complex which helps in energy metabolism. Gingko – It improves the flow of blood in the brain, therefore lessening the fatigue. Previous 2 Weeks Pregnant, Signs and Symptoms – Everything You Want To Know !